Introducing the exciting young conductor from Taiwan, Georg Solti Prize Winner and Tanglewood Fellow, Ching-Po Paul Chiang, with his Video footage and comprehensive information. Paul Chiang made his New York CARNEGIE HALL debut on the 19 June 2007 conducting the NEW ENGLAND SYMPHONY ORCHESTRA in the 2,804 seat Isaac Stern Auditorium, in a program featuring Beethoven and Mozart. 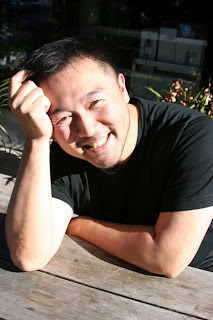 Other major orchestras conducted by Paul Chiang include DANISH NATIONAL RADIO SYMPHONY, FRANKFURT OPERA's FRANKFURT MUSEUM ORCHESTRA, STAATSPHILHARMONIE RHEINLAND-PFALTZ (Germany), NATIONAL SYMPHONY ORCHESTRA of TAIWAN, TAIPEI CHAMBER ORCHESTRA SOLOISTS, TANGLEWOOD MUSIC CENTER ORCHESTRA, GRAND TETON FESTIVAL ORCHESTRA in the USA (whose Artistic Director is Donald Runnicles: General Music Director of the San Francisco Opera, and Deutsche Oper Berlin) which Paul Chiang led on a national USA tour in 1993, Taiwan International Music Festival Orchestra, as well as numerous others including, Kaushong City Symphony Orchestra in Taiwan, Soochow Symphony Orchestra, the Young Musicians Foundation Symphony Orchestra, National Taiwan University Symphony Orchestra. He will also appear at the STATE OPERA & BALLET THEATRE in Mongolia in March 2009 to conduct the ballet Swan Lake, and then in June 2009 the opera Turandot. Paul Chiang also makes his orchestral conducting debut in Greece, conducting the THESSALOKINI STATE SYMPHONY ORCHESTRA in June 2009. In 2002, Denmark’s DANISH RADIO also produced a special program focusing on Paul Chiang - the conductor and the orchestra he established since 1998 the Philharmonia Moments Musicaux Orchestra, from Taiwan. Danish Radio consequently aired throughout Denmark an entire concert recorded live in Taipei (Taiwan), which included works by Atterberg, C. Nielsen, and Sibelius. Paul Chiang and his orchestra Philharmonia Moments Musicaux Orchestra embarked on its first European tour of Italy and Germany in August 2007. Paul Chiang's concerts in Italy (LAGO DI COMO MUSIC FESTIVAL (Bellagio) - SOLD OUT, Lago di Como Festival (Albese con Cassano) SOLD OUT, where covered extensively by the Italian Press and were featured in Italy’s main newspapers the La Repubblica and the Corriere de la Sera, the orchestra and Paul Chiang also received a 3 minute spot on RAI 3 Italian television, during its cultural news. 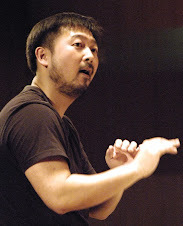 Other concerts which Paul Chiang conducted in Italy and Germany included the music festival Musica sul Largo - Azeglio (Italy), MASSA CARRARA THEATRE (Italy), Palo de Colle Festival (Italy), and a SOLD OUT Italian Opera Gala evening in the German city of Mulheim an der Ruhr at the Europa FREILICHTBUEHNE Arena. 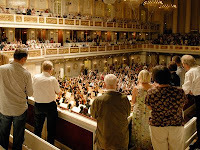 Paul Chiang and his Philharmonia Moments Musicaux returned to Europe in August 2008, with a critically acclaimed appearance at the Berlin Konzerthaus performing Gustav Mahler's Symphony No. 5 C in sharp minor, and the German premiere of Lai Deh-Ho's Moments Musicaux, Concerto for pipa, bamboo flute, xiao and chamber orchestra, during the Berlin Young Euro Classic Festival, which also featured renowned conductors such as Dennis Russell Davies, Heinrich Schiff, Vasily Petrenko, Jac van Steen, and Muhai Tang. Paul Chiang’s concert in Berlin was highly praised; reviews appeared in all the three largest most read newspapers in Germany. ‘’What’s the most impressive is how this orchestra, established in 1998 by Paul Chiang, dare perform such a symphony traditionally dubbed an ironclad tank. Paul Chiang, the conductor, like a giant tree robustly rooted onto the podium, drained the music among his fingers after the outstanding solo given by the trumpeter’’.